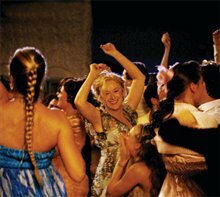 An independent, single mother who owns a small hotel on an idyllic Greek island, Donna (Meryl Streep) is about to let go of Sophie (Amanda Seyfried), the spirited daughter she's raised alone. For Sophie's wedding, Donna has invited her two lifelong best girlfriends—practical and no-nonsense Rosie (Julie Walters) and wealthy, multi-divorcee Tanya (Christine Baranski)—from her one-time backing band, Donna and the Dynamos. But Sophie has secretly invited three guests of her own. 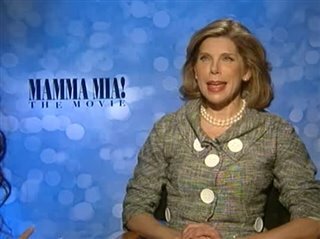 "I'm a huge fan of musicals and always meant to watch this one. I finally had the chance and I hated it. It's beyond cheesy, the storyline is flimsy and after about half an hour, I had to turn the TV off. This is the kind of musical that makes non-musical lovers say See? Musicals are garbage with bad acting and stupid storylines. Which isn't true. Except in this case." "Watched it again and I have to say; Why didn't someone say to Pierce Brosnan - "Mr Brosnan, you are a great actor. We love you. ...but you can't sing and we will dub your voice in the movie." 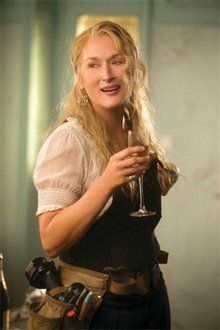 Anyway, besides that, and overacting from Meryl that looks great on stage, but not in a movie, this movie is enjoyable. I think the only reason I don't give it higher stars is that I was lucky enough to see the stage play in New York and it was a million times better on stage." "Two hours of exuberant, musical fun based on the songs of ABBA. Cringe if you must, but your toes will be tapping all the same. I enjoyed three handsome, if vocally challenged, actors each taking turns being confused, surprised, charming and ultimately rising to chivalry. I love a man who can take the micky out of his own persona. 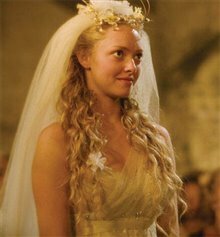 Amanda Seyfried as bride-to-be, Sophie is lovely - both visually and vocally."